Online ordering menu for Stone Fire Pizza - Hidden Valley Lake. 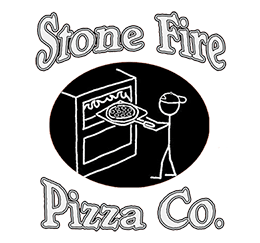 Stone Fire Pizza Co. has served the Lake County community with some of the best hand-crafted pizzas and oven-baked delicacies for over 25 years. Today, our passion is still to share our love for food with those around us. That's why we use tried and true recipes passed down from generation to generation and prepare our fare with only the freshest ingredients--like our made-from-scratch dough. Order online today for delivery or swing on by for carryout. Stone Fire Pizza Co--Hidden Valley Lake is located near the corner of Coyote Valley and Hartmann Rd., next to Hidden Valley Lake Golf Course.